After a break we come back to The Zero and continue being lost in Kentucky. 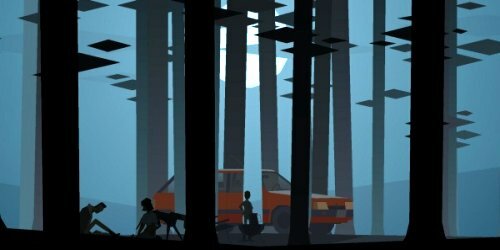 We continue our podcast series with episode 2 of Kentucky Route Zero as we delve into the strange, non-Euclidean world of the game. What’s fascinating to me is how the game managed to follow up on its first episode. There’s no real way it could have topped itself by doing the same thing without becoming silly, at the same time it couldn’t back down either so early in the series. I like the route they took: the stepped sideways. Episode 2 has shades of similarity to the first episode, but it’s like a rhyming shadow, distorted and not really real. It’s more like an imagined world has been allowed to have a form. Having said that, we are returned to the more normal world in the episode and end on a change to the status quo we didn’t realize was established. The first episode ends with you finding The Zero, presumably the goal for the whole game. It leaves the player wondering where the next four could possible go or stretch it out. This episode’s ending leaves the player wondering where the next could possibly start. Warning, we do go into lots of detail on the podcast with what happens throughout the game, so put it off until you’ve played it.